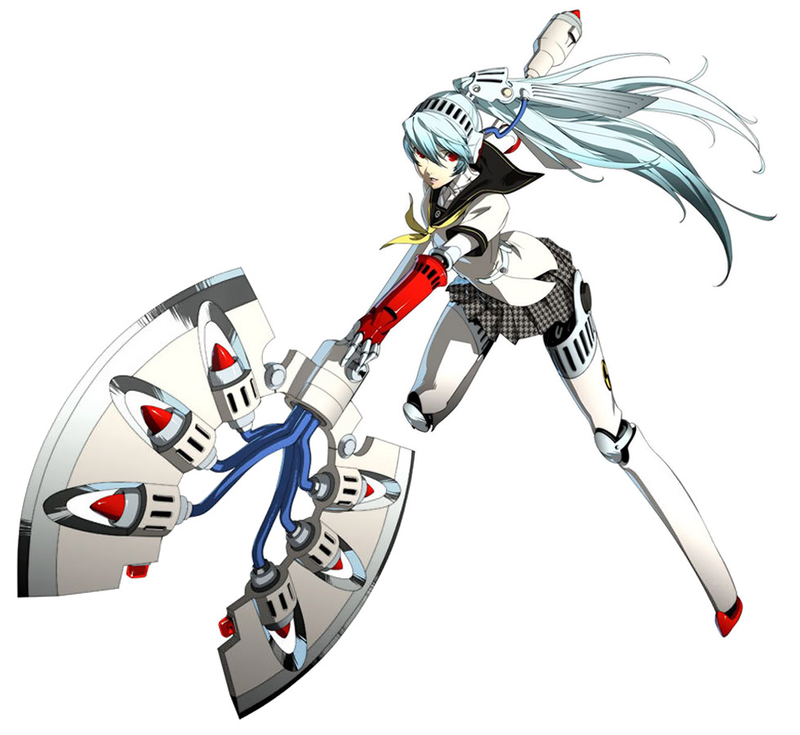 Labrys was first mentioned in the Persona 3 Drama CD Moonlight, but makes her first appearance in Persona 4 Arena. 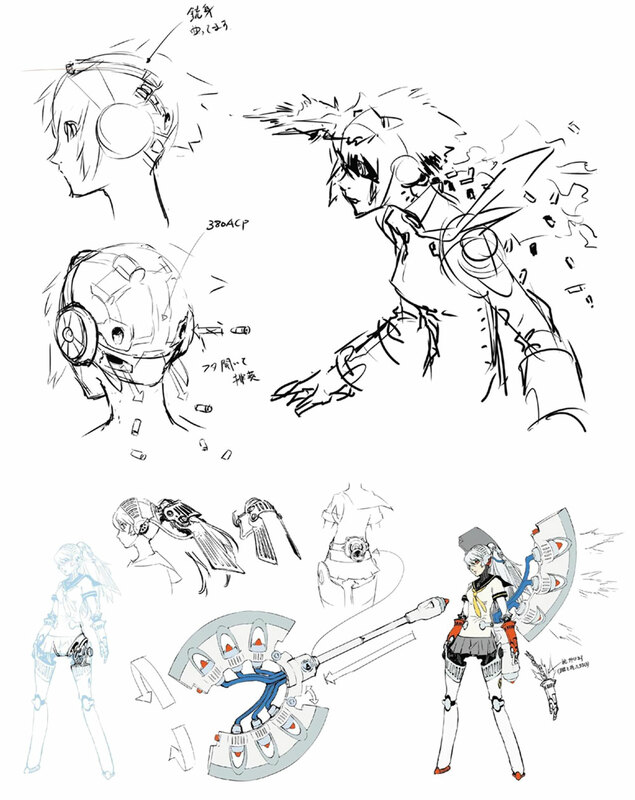 Self-proclaimed student president of Yasogami High, but really a Kirijo Group prototype anti-Shadow robot. Ariadne is the Persona she gained by accepting her Shadow. 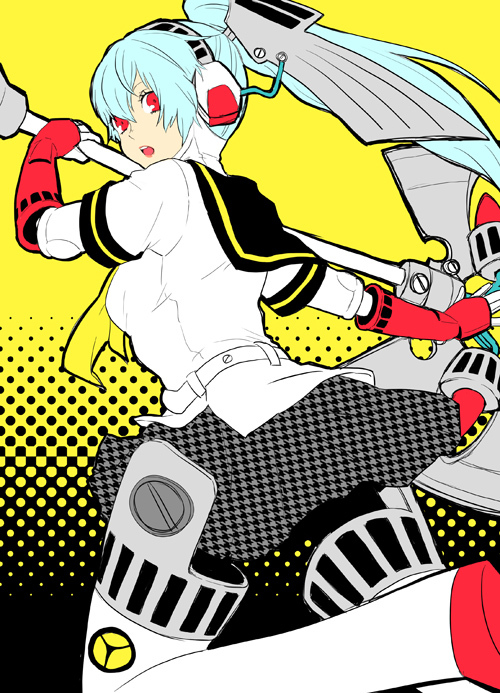 Her axe grows in power each time it's wielded. 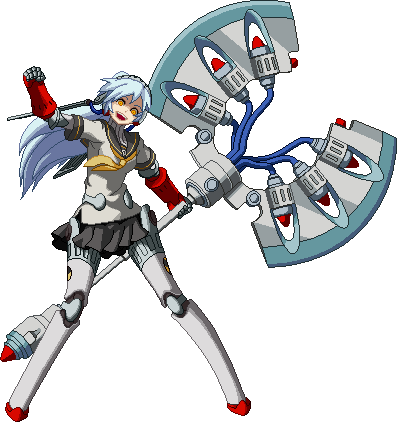 Due to her larger Plume of Dusk, Labrys's personality developed quicker than the other mechanical maidens. She is a caring person who doesn't want to hurt or kill anyone she cares about. 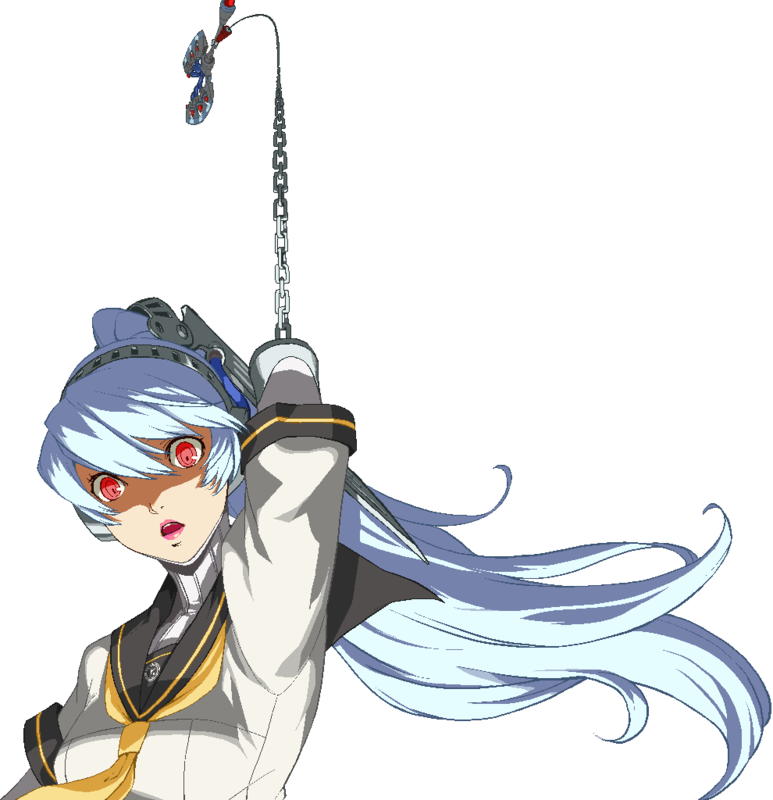 When she thought she was the human student council president, she was serious, strict, and responsible. 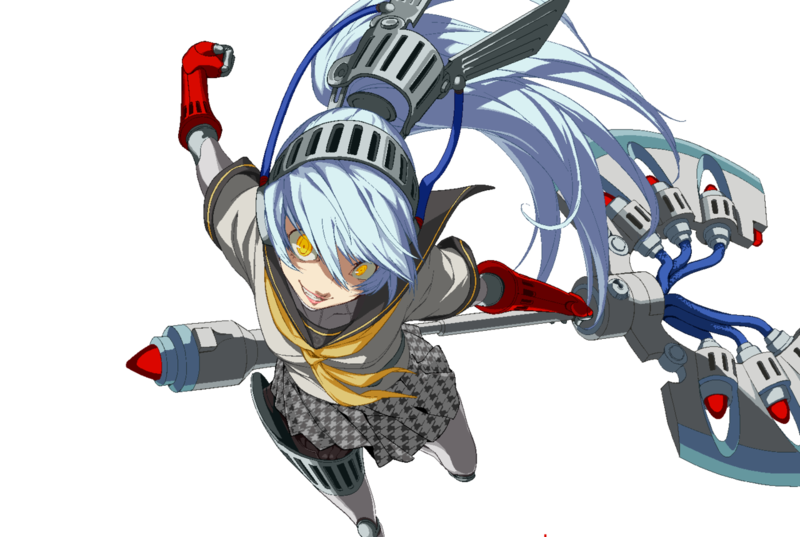 The boss / sub-boss of Persona 4 Arena, Labrys is certainly a weird-looking design. 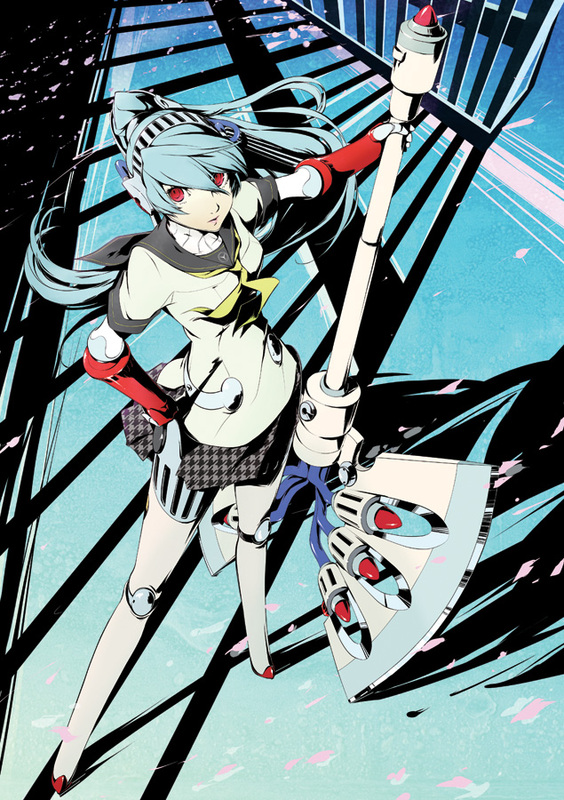 Her schoolgirl outfit seriously clashes with her other robotic attributes... and kinda hurts my eyes. lol. To me, her personality is pretty typical for an "anime android girl"... and kinda bores me. Her English voice is also pretty odd. 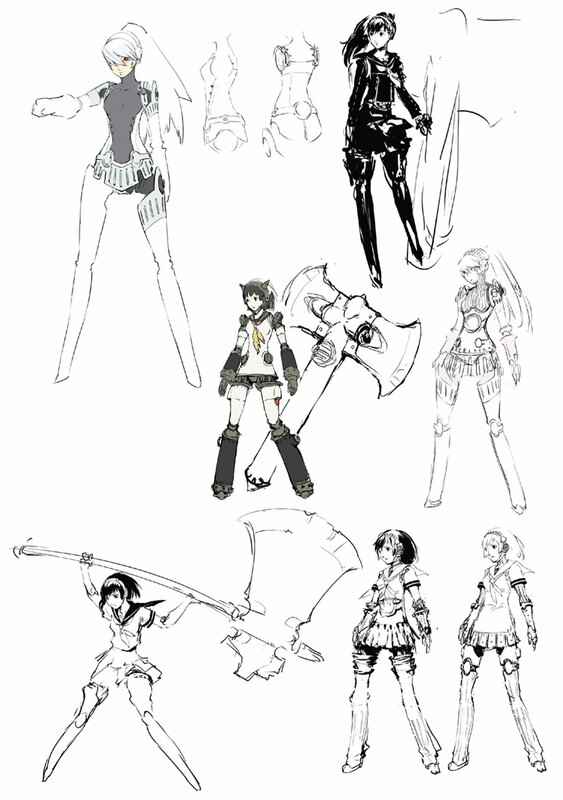 Honestly, I can't say anything about this design particularly excites me. 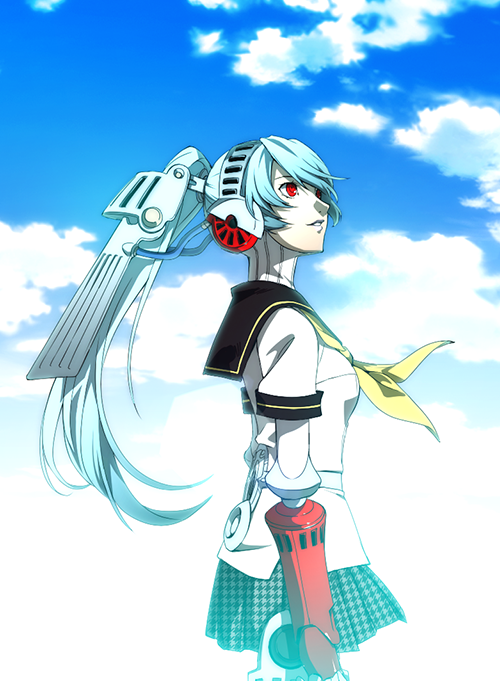 To be honest, I like nearly all of the characters who appear in the Persona 4 RPG, but I can’t say I like Labrys... and ironically, she’s the only character absent in the RPG.